Using body artist Craig Tracy and more than a dozen very talented, very muscular, and very flexible models, Fiat has developed an interesting ad that is, according to the head of Fiat Brand North America, Jason Stoicevich, "as visually unique as the Fiat 500 Abarth Cabrio." We can't really argue with that statement, as we've never seen an ad quite like this before. If you aren't interested in picking up a copy of ESPN The Magazine, then at least take a look at this (slightly NSFW) video, which shows the effort that went into the ad and the degree of talent from the models. We've also posted the actual ad in the gallery, so you can get a closer look at what's at your local newsstand. Check out the video down below. July 10, 2013 , Auburn Hills, Mich. - FIAT Brand North America unveils a one-of-a-kind print ad this week when it debuts "Body Paint" in this year's annual ESPN The Magazine's Body Issue. 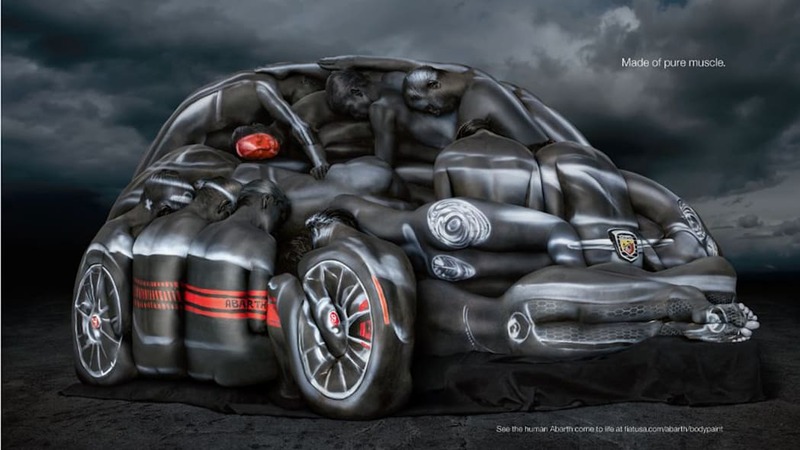 The visually stunning print ad features more than a dozen female artists, models and contortionists to recreate the image of a Fiat 500 Abarth Cabrio. The annual edition of ESPN The Magazine's Body Issue (07/22) will be on newsstands starting Wed., July 10. "'Body Paint' allowed us to take part in a unique collaboration with a multinational sports company that connects the FIAT brand with sports and car enthusiasts across the globe," said Olivier Francois, Chief Marketing Officer, Chrysler Group LLC, and Fiat Group Automobiles Head of Fiat Brand. "Our ideal execution is when a client creates an ad that works so well within the context of our environment," said Eric Johnson, ESPN executive vice president, multimedia sales. "Not only is this a creative win, it thematically ties in perfectly with ESPN The Magazine's annual Body Issue." 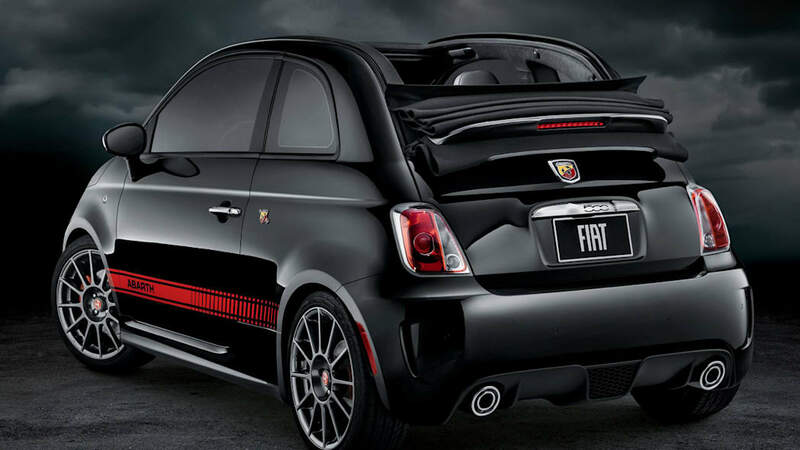 "We wanted to create a concept for ESPN The Magazine's Body Issue that was as visually unique as the Fiat 500 Abarth Cabrio," said Jason Stoicevich, Head of FIAT Brand North America. "The notion of the 'Body Paint' print ad conveying athletic grace in a magazine that specifically devotes itself to covering athletes around the world sparked a perfect union for the FIAT Brand."